Tony Hayward agrees we should kill the birds that have been soaked in oil instead of traumatically cleaning them and releasing them back into the wild. Unlike Hayward’s previous comments that got him into trouble, this one has some merit. According to biologist Silvia Gaus in an article from Treehugger, the birds that become soaked in oil have a 1% chance of survival. 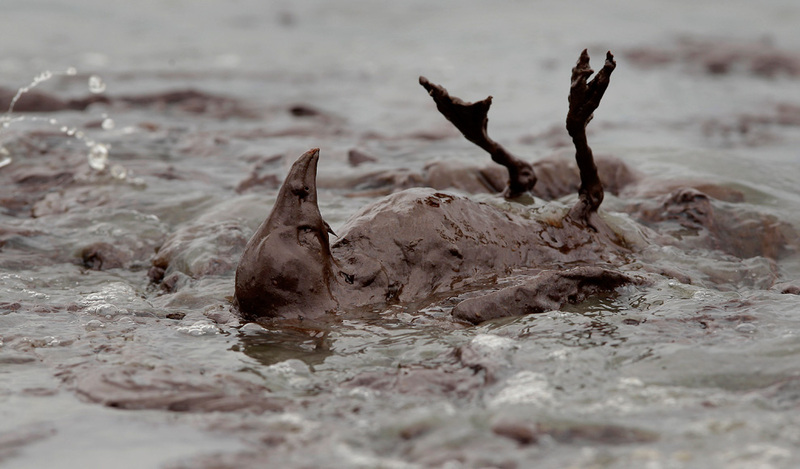 In past spills, birds that were cleaned and then released back into the wild died within approximately 7 days. To make things worse, the process of capturing the birds and cleaning them is very stressful and traumatic for them. If the birds are going to perish either way, it does not make sense to put them through a traumatic experience for no reason. Even the World Wildlife Fund agrees that cleaning the birds is unfortunately futile. When the birds’ feathers become coated in oil, they attempt to clean themselves and ingest it involuntarily. The oil eventually causes damage to the livers and kidneys of the birds and therefore makes it pointless to clean and release them. The harm oil has on the intestinal health of birds is a major concern, considering the amount of unique wildlife in those coastal states. Sadly, the potential harm to birds from the BP Oil Spill does not stop there. 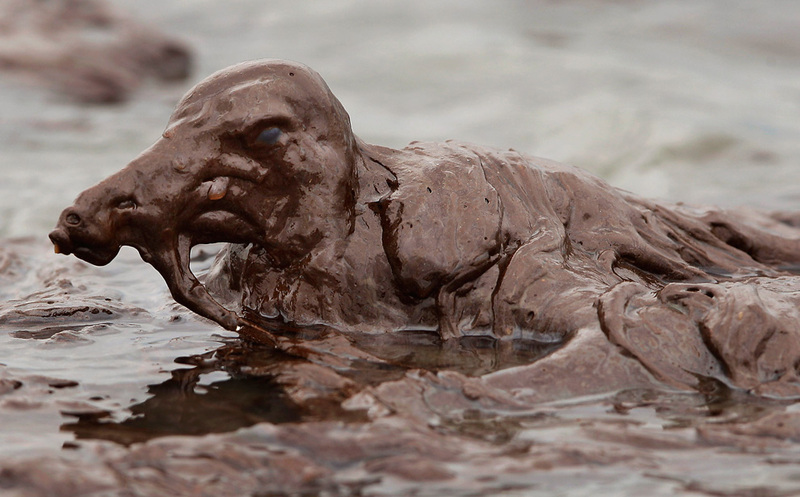 An even more terrifying reality exists for birds in the coastal states threatened by the BP Oil Spill. Kerry Anderson from NBC took a trip to Louisiana where he explored the East Grande Terre Island, a spot that has been hit particularly hard by the oil spill. Not only is the beach there covered in thick, goopy oil, but that oil increases in temperature with the heat of the sun. As the temperatures in Louisiana and other states rise, so will the intensity of the sun and the temperatures of the landed oil. When birds are covered in this oil, they lose the ability to cool themselves. At that point, depending on the heat of the oil, the birds are at risk of literally being cooked alive. The massive amount of oil sopped all over the Louisiana island has been there for 5 full days without any signs of cleanup from BP. You are right, but think of all the jobless people now. They would likely differ. Very Interesting. I haven’t had the same feeling here in Anchorage, but I suppose that isn’t really unusual. The articles you have on your site are always so enjoyable to read. Good work and I will be returning often. You made great good points there. I did a research on the topic and found most people will agree with your Post. Thank you! I hope you will keep reading and comment! It’s always nice to stumble onto a new site this terrific! I will be coming back for sure! Get it done Your self is so a lot simpler whenever you can come across excellent reports similar to this one. Genial dispatch and this mail helped me alot in my college assignement. Thanks you seeking your information. I’ve been looking for something like this for weeks nothing worked until now. You are a good bloger and make so useful informations on pages.I found the stuff I need.Thanks a lot. I was reading Mason’s post and it reminded me of something that I heard on the radio yesterday. Apparently there are people out there who are feeling really bad for BP and all the money that they are spending to try and control the spill. First I remember the fact that they did create this mess with their carelessness. On the radio yesterday the DJ was talking to the individuals who feel bad for BP and the money they are speding and then he explained how BP makes $93 million dollars a DAY!! So far the spill has costs over $1.2 billion. It took BP 2 weeks to make that money. Really? Feel bad for them….I don’t think so. This is extremely sad. Already given the massive amounts of money BP will have to spend to relief victims of the spill who are fisherman and so forth what will be done about the wildlife? Unfortunately there really is no dollar amount that will fix the horrible toll that this oil spill is taking on the Gulf environment. A mistake like this is not only catastrophic but also heart breaking.